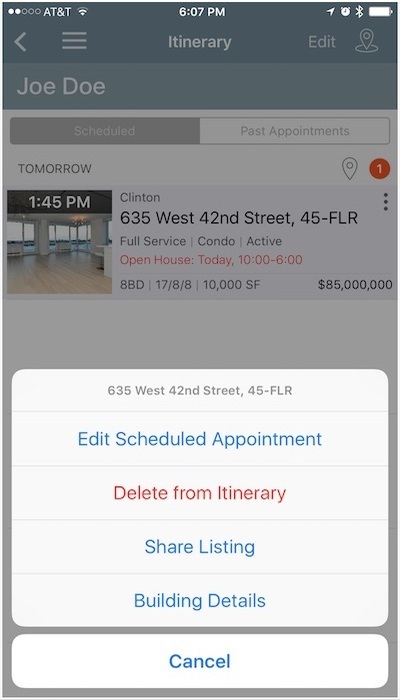 Customer itinerary allows you to view Scheduled and Past Appointments for any given customer. 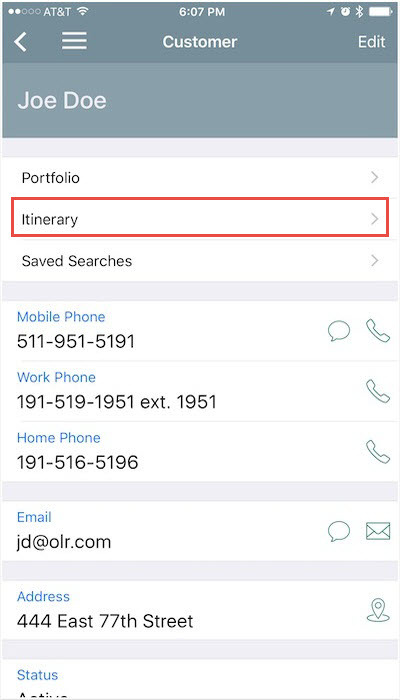 You can access Itinerary page from My Customers page. 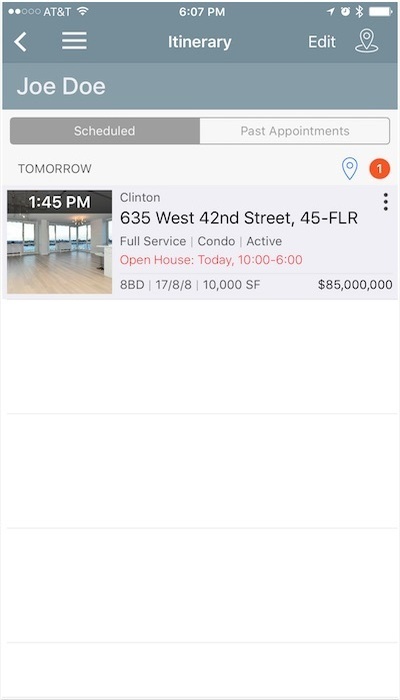 From this page you can Cancel All Appointments, Map Location of scheduled viewings or Change appointment details by clicking menu button on the listing tile.